Haniko Sugiura was a famed Japanese manga artist whose work often focused on the Edo period in Japan’s history. A time when fighting amongst the different warrior factions eased, and the merchant class came to the forefront of Japanese society. The shift from years of warfare to more economical ventures led the inhabitants of Edo – more commonly known these days as Tokyo – to other pursuits ranging from brothels to art. Since Sugiura was a devotee to the Edo period, it is fitting that director Keiichi Hara and screenwriter Miho Mauro would select her manga series, Sarusuberi, to bring to the big screen. Set in 1814, Miss Hokusai focuses on O-Ei, the daughter of famed artist Tetsuzo, better known by his nom de plume Hokusai, as she tries to navigate the various aspects of her life. O-Ei spends the bulk of her time assisting her divorced father who cares about his art and not much else. Since her father refuses to clean, littering the house with crumpled paper of disregarded sketches, his alternative is to simply pack up and move elsewhere whenever his place gets too cluttered. When not aiding her dad, O-Ei tends to her blind younger sister, O-Nao, who lives with her mother. Believing his daughter’s blindness is tied to old superstitions, Tetsuzo pays O-Nao no mind as he assumes her condition makes her unable to appreciate, or assist with, his art. Spending so much time dedicated to helping her family, O-Ei has neglected much of her own personal life. Her father taunts her for lacking the lying skills needed to obtain a husband. It also does not help that many of her potential suitors are the apprentices and artists who come around to see her father for his wisdom and guidance. One in particular, Hatsugorô, catches O-Ei’s eye, but their bond is complicated by the fact that she constantly moves towards him and pulls away at various points in the film. The animation in Miss Hokusai is exquisite. 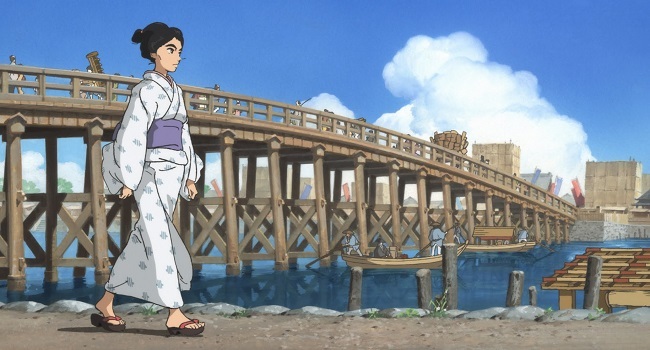 In one memorable sequence O-Ei and O-Nao take a boat ride under a bridge where merchants sell their wares. The viewer is brought right into O-Nao’s world as she picks out the distinct noises from the bridge above. In another sequence Keiichi Hara plays with the lighting in the sky, to add weight to the fact that Tetsuzo does not acknowledge his daughters when he walks past them as O-Ei is giving O-Nao a piggyback ride. Miss Hokusai presents an intriguing view of Tokyo in its infancy. 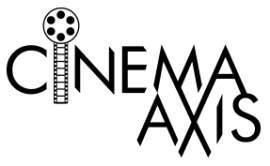 The production gives an educational view of the main elements of the era. The merchants, artists, geishas and drunks all played an integral part in the country’s shift towards becoming a united society after a period of war. Miss Hokusai is a film I can recommend. For ticket information visit the Fantasia website.